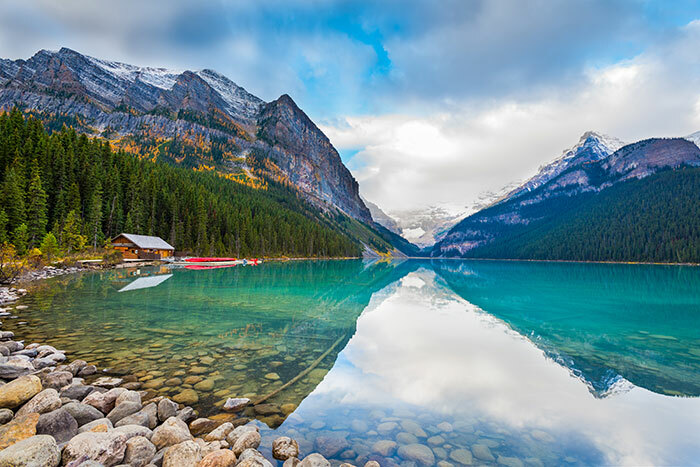 If you love the outdoors and enjoy basking in scenery that looks like it is straight out of a postcard, a trip to the Canadian Rockies is a must this summer. 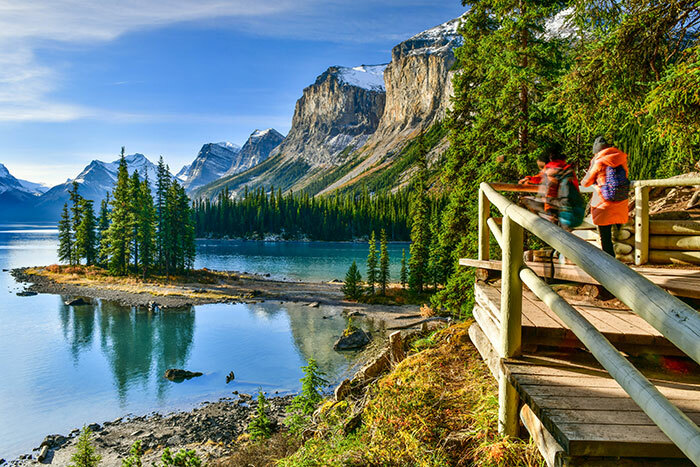 Fly directly into Calgary, Alberta and head straight to Banff National Park. There, grab a hire car and get ready to start cruising Banff and Jasper National Parks. Start your road trip in Banff National Park, exploring some of the world’s most renowned steakhouses, distilleries, beer gardens and rooftop patios. 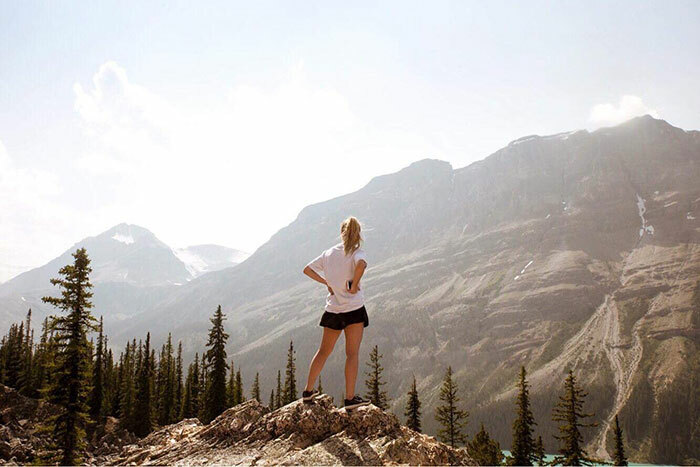 There’s an abundance of bucket list hikes in Banff that will appeal to the more adventurous traveller. Consult the Visitors Centre on Banff Avenue for all the best tips! Hit the Bow Valley Parkway out of Banff, driving North towards Lake Louise. Be sure you keep your eyes peeled; deer, elk and bears are commonly spotted hiding behind the wildlife barriers running parallel to the highways. A quick detour via Lake Louise en route to the Icefields Parkway is a must. Lake Louise is undoubtedly one of the most photographed lakes in the world; and once you see it, you will understand why. Framed by Chateau Lake Louise at its base, and towered by million-year-old glaciers and snow-capped mountains, the grandeur of it is truly a sight to behold. Head north from Lake Louise and cruise onto the Icefields Parkway. Renowned as one of the most famous and photographed stretches of road in the world, it is dotted with ancient glaciers that span mountaintops and emerald blue lakes unlike any I have ever seen. If you do opt to hire a car and drive it yourself; ensure to always check the road conditions. Take your time and prepare a detailed itinerary complete with food, photography and hiking pit stops. Some of the best places I would recommend are: Bow Lake, Peyto Lake, Waterfowl Lake, Mistaya Canyon, Athabasca Glacier and Athabasca Falls. Take your time cruising down the parkway and ensure you take in all of its beauty. There are a few lodging options along the way and a handful of scattered campgrounds operating on a first come, first serve basis. 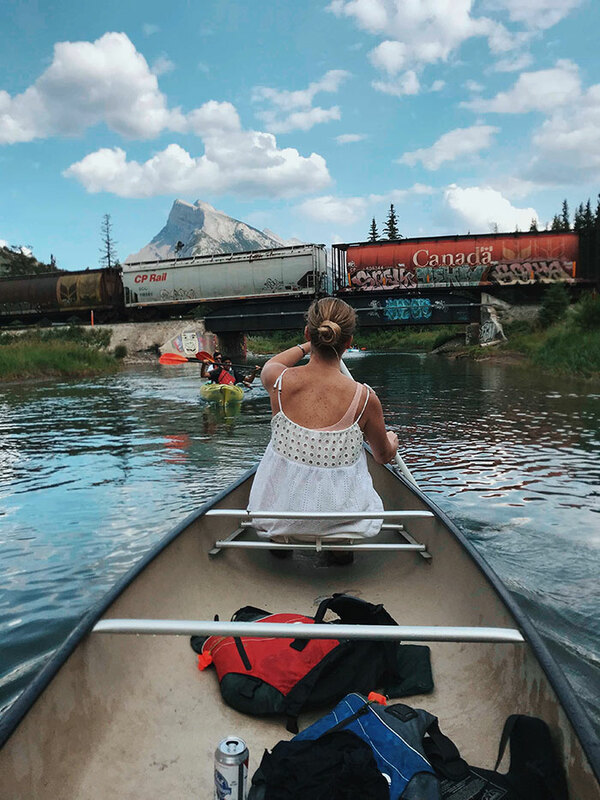 Once you arrive in Jasper, check into your pre-booked hotel, motel, or campsite (I would recommend Whistler Campgrounds for those more adventurous or budget conscious). Take a stroll into downtown Jasper where cafes, restaurants and bars are plentiful. If you’re after a light brunch and coffee, the local Bear’s Paw Bakery on Jasper Avenue has you covered with mouth-watering sandwiches and the best coffee in town. I’ve never been one to shy away from a rooftop patio, especially when the scenery is as incredible as it is Jasper. If you’re after a drink and late lunch head to Jasper Pizza Place (or JPP as the locals call it). There you’ll find an awesome mix of craft beers and their famous wood-fired pizzas. Not ten kilometres outside of Jasper lies Lake Edith (one of the warmer glacial lakes I’ve swam in). Rent a kayak or paddleboard and soak up the sun as you lull across the waves on the lake. A short drive away you will find Lake Annette, by far some of the most crystal-clear water I’ve ever seen. Lake Annette has a lakeside sand beach perfect for picnicking and relaxing in the sun. The water was warm enough to swim in, and the hike along the lakeshore is peaceful and relaxing. There are a lot of hikes originating from this area for those keen to explore the surrounding area on foot. For budding photographers; Lake Annette is the perfect position to snap shots of Pyramid Mountain, and locals say it is one of the best spots for stargazing in Jasper National Park. Head North of Jasper town site until you reach the turnoff for Maligne Lake Road. I would recommend allowing a few hours to reach Maligne Lake. As you drive around the winding Maligne Lake Road prepare to be awe-inspired when you encounter Medicine Lake. It is a glacial lake that has an ever-changing water level depending on the time of year. It lies between towering mountainous valleys and is flanked by wildfire damaged land. Get your camera ready (and a towel if you can brave the freezing water like I stupidly did). Fast forward twenty minutes (after nearing hypothermia), up the sloping road to the base of Maligne Lake. 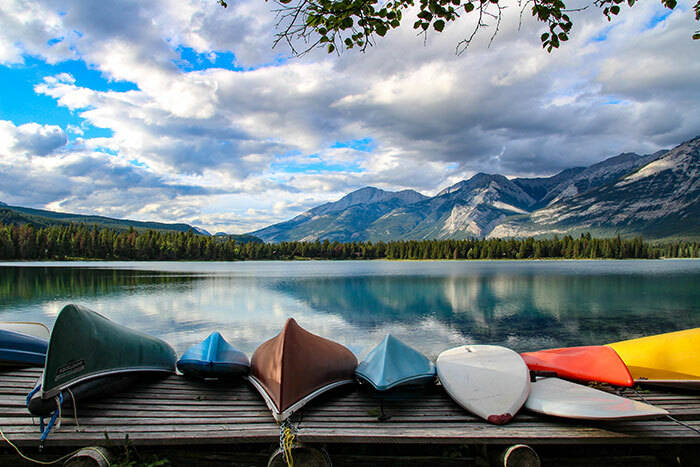 Head over to the boat shed and the team there can hook you up with a kayak or canoe to enjoy Maligne Lake at your own pace. Ensure you pre-book your cruise to Spirit Island, arguably the best boat cruise in Canada, and get ready to set sail on the azure crystal waters. Sit back and take in the pristine scenery and, if you’re lucky, you might even get to see some of the local wildlife. Upon your return, head to the historical Maligne Lake Chalet for afternoon tea. Sit back and enjoy its quintessential charm and breathtaking panoramic lake views. Alternatively, return back down Maligne Lake Road and explore the thundering rapids of Maligne Canyon, the deepest canyon in the Rockies. Their wilderness kitchen offers a smokehouse-inspired menu and entertainment well into the night. Road tripping to Jasper is a journey that is just as incredible as the destination, and the vastness of the landscapes will astound you. Want to craft a tailor-made trip like this one or learn more about Western Canada? Get in touch with one of our consultants today. A marketing guru that has been travelling around the world from a young age. Spending my days trekking from place to place in hopes of satisfying my sense of adventure.